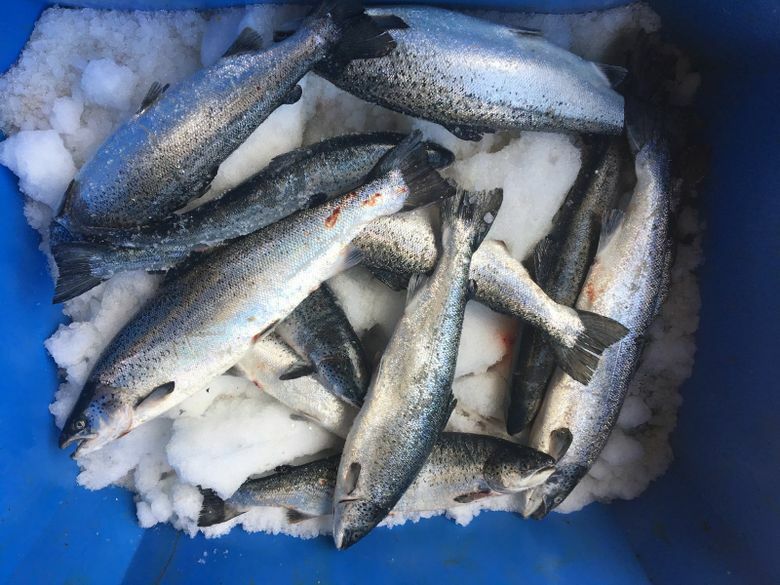 Farmed Atlantic salmon are still being found in Puget Sound rivers, despite state experts saying they are wasting away and not turning up on spawning grounds. 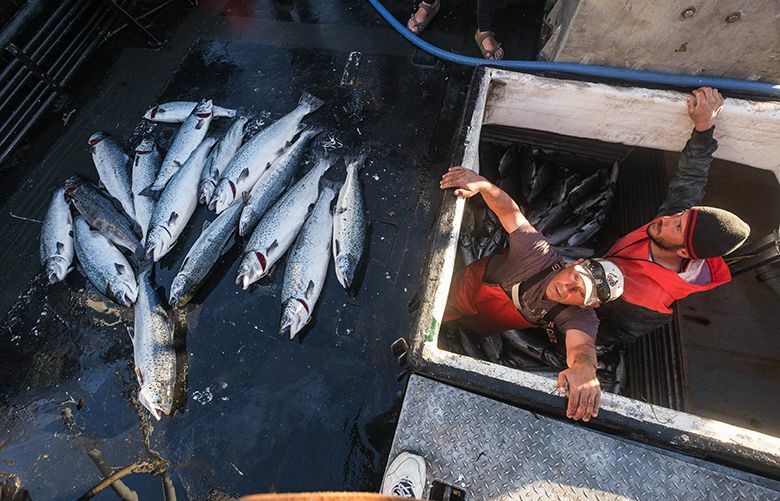 Even as state agency experts were assuring legislators that Atlantic salmon from a spectacular August escape are goners, tribal fishermen were catching Atlantics in the Skagit River, one of Washington’s premier salmon habitats. 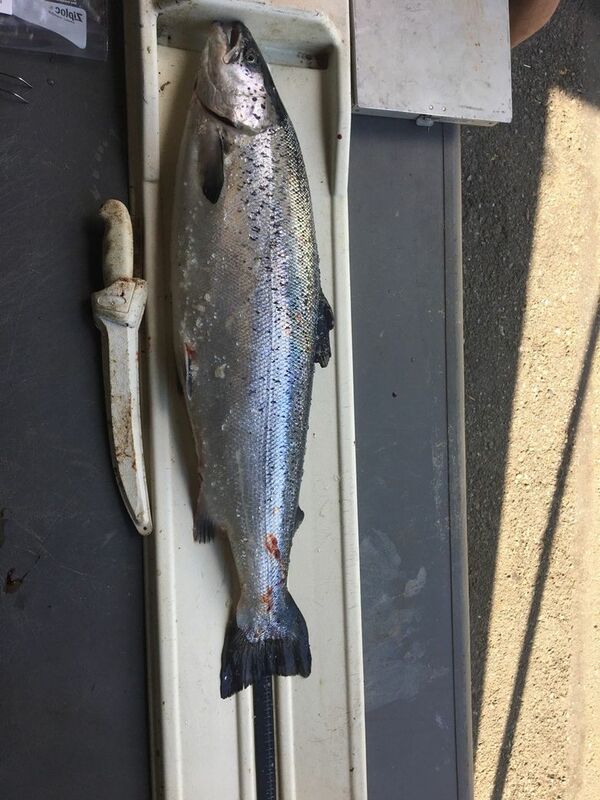 State lawmakers convened two weeks ago in a House Agriculture and Natural Resources Committee work session on the salmon escape were assured by managers from the state departments of Fish & Wildlife and Ecology that the fish were wasting away and not showing up on the spawning grounds. But that is not what some tribal fish managers are seeing. “I can tell you they are free swimming and they are healthy and alive,” Scott Schuyler, Natural Resources Director for the Upper Skagit Tribe, told The Seattle Times on Thursday. He said tribal fish technicians keep on catching Atlantics as they fish with tangle nets for chum to gather broodstock for the tribal hatchery. Fishermen caught six Atlantics the week of Nov. 13, as the lawmakers were meeting, and five more Thanksgiving week in just a short fishery in a small area of the river near Hamilton, Skagit County. More than 100,000 Atlantics were never found after the escape from Cooke Aquaculture’s Cypress Island net-pen farm the weekend of Aug. 19. The farm contained 305,000 Atlantics from 8 to 10 pounds in size at the time. The tribe has not yet confirmed from ear bones in the fish that they were Cooke’s, but they are presumed to be, as Atlantics are not usually caught in the Skagit, home to Pacific salmon. The fish had empty stomachs, and were more than one pound less in weight than the Atlantics caught by the tribe soon after the initial escape, said Bob McClure of the Upper Skagit tribe. The gonads in the fish were underdeveloped, meaning they could not reproduce. After the escape, the fish were soon reported all over the Puget Sound and beyond, as far north as the Vancouver Island and the west end of the Strait of Juan de Fuca and as far south as Tacoma. Tribal fishermen recovered the most escaped fish, with the Lummi Nation declaring a state of emergency and catching 400,000 pounds of Atlantics. Chairman Jay Julius, who caught many himself, said he in no way agrees that the Atlantics still unaccounted for since the escape are dead and gone. “No one speaks for us; we refuse to take that position. If you can show us … carcasses of dead Atlantic salmon, that is one thing. But there are none. Show me the bodies,” Julius said. Western Washington tribes have urged action to eliminate net-pen farming of Atlantic salmon to protect Puget Sound. “Something has to happen sooner with the breeding of invasive species in our waters,” Julius said. “We can’t afford to wait until the leases are up. The Salish Sea is at a tipping point already. “It was a garden, so rich with fish and wildlife, the orcas were fat and fed well. It is hard to paint that picture because all we know is what we have.” And that, Julius said, includes not only starving orcas but Atlantic salmon still turning up in Washington rivers months after the escape.